Kolczyki There are 16 products. 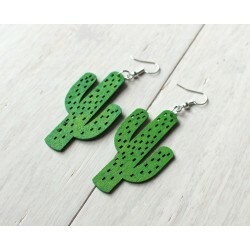 Cactus wooden women big earrings, made by laser cut from green colored birch wood looks great in the natural wooden state. Wooden parts have 50 mm diameter and are located on the silver color earrings base. Whole earrings are 7.5 cm large. 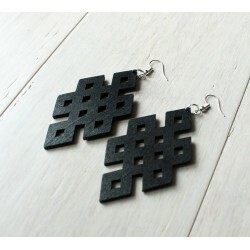 Black wooden women big earrings, made by laser cut from black colored birch wood looks great in the natural wooden state. Wooden parts have 72 mm diameter and are located on the silver color earrings base. Whole earrings are 9.5 cm large. Let's Rock wooden women big earrings, made by laser cut from black colored birch wood looks great in the natural wooden state. Wooden parts have 60 mm diameter and are located on the silver color earrings base. Whole earrings are 7.5 cm large. 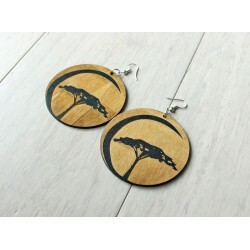 Tree wooden women big earrings, made by laser cut from black colored birch wood looks great in the natural wooden state. Wooden parts have 60 mm diameter and are located on the silver color earrings base. Whole earrings are 7.5 cm large. 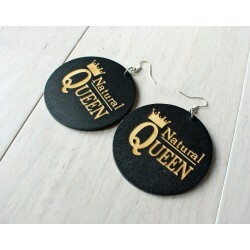 Natural Queen wooden women big earrings, made by laser cut from black colored birch wood looks great in the natural wooden state. Wooden parts have 60 mm diameter and are located on the silver color earrings base. Whole earrings are 7.5 cm large. 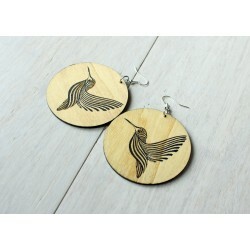 Humming-Bird wooden women big earrings, made by laser cut from black colored birch wood looks great in the natural wooden state. Wooden parts have 60 mm diameter and are located on the silver color earrings base. Whole earrings are 7.5 cm large. 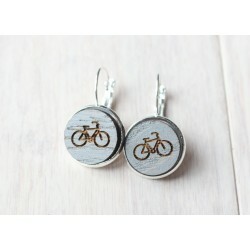 Bike wooden women earrings, made by laser cut from oak wood looks great in the color wooden state. They are very ecological. Wooden parts have 16 mm diameter and are located on the silver color earrings base with a metal frame. Whole earrings are 3 cm large. 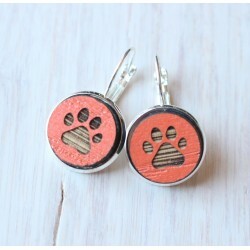 Paw wooden women earrings, made by laser cut from oak wood looks great in the color wooden state. They are very ecological. 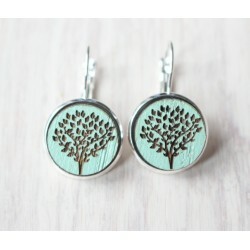 Wooden parts have 16 mm diameter and are located on the silver color earrings base with a metal frame. Whole earrings are 3 cm large. 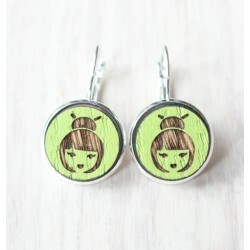 Geisha wooden women earrings, made by laser cut from oak wood looks great in the color wooden state. They are very ecological. Wooden parts have 16 mm diameter and are located on the silver color earrings base with a metal frame. Whole earrings are 3 cm large. 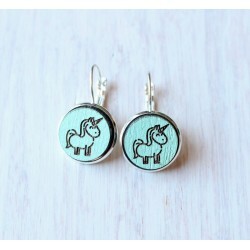 Unicorn wooden women earrings, made by laser cut from oak wood looks great in the color wooden state. They are very ecological. 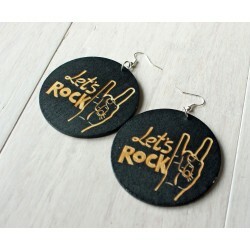 Wooden parts have 16 mm diameter and are located on the silver color earrings base with a metal frame. Whole earrings are 3 cm large. 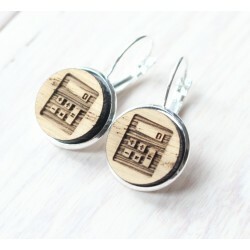 Calculator wooden women earrings, made by laser cut from oak wood looks great in the color wooden state. They are very ecological. Wooden parts have 16 mm diameter and are located on the silver color earrings base with a metal frame. Whole earrings are 3 cm large. 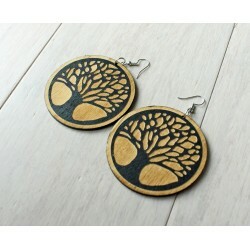 Tree of Life wooden women earrings, made by laser cut from oak wood looks great in the color wooden state. They are very ecological. Wooden parts have 16 mm diameter and are located on the silver color earrings base with a metal frame. Whole earrings are 3 cm large. 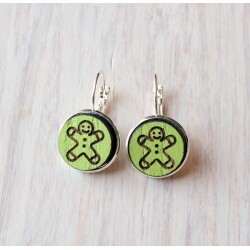 Gingerbread man wooden women earrings, made by laser cut from oak wood looks great in the color wooden state. They are very ecological. Wooden parts have 16 mm diameter and are located on the silver color earrings base with a metal frame. Whole earrings are 3 cm large. 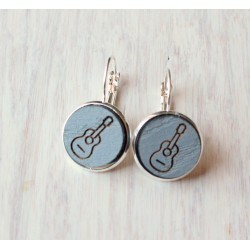 Guitar wooden women earrings, made by laser cut from oak wood looks great in the color wooden state. They are very ecological. Wooden parts have 16 mm diameter and are located on the silver color earrings base with a metal frame. Whole earrings are 3 cm large. 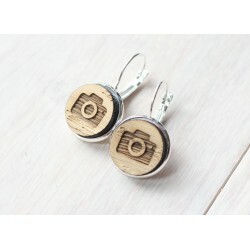 Camera wooden women earrings, made by laser cut from oak wood looks great in the color wooden state. They are very ecological. Wooden parts have 16 mm diameter and are located on the silver color earrings base with a metal frame. Whole earrings are 3 cm large.